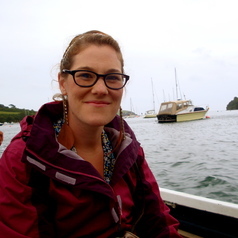 Kirsty is A NERC funded Knowledge Exchange Fellow based in the analytical research group in the Chemistry Department at the University of York. After completing an MChem degree at the University of Bath in 2010, Kirsty joined the Chemistry Department at the University of York to pursue a PhD in the research group of Dr Kirsty Penkman. A CASE studentship funded by NERC and York Archaeological Trust, the subject of her PhD was to investigate the deterioration of organic archaeological artefacts at the Mesolithic site of Star Carr (North Yorkshire). Her focus was on understanding how the chemistry of the burial environment influences decay processes using a range of analytical techniques, including: HPLC, GC, FTIR, p-XRD and SEM. By using a combination of lab-based experiments and burial experiments combined with the analysis of archaeological material, this study provided insight into the rapidity at which organic materials deteriorate in acidic environments. Following her PhD, Kirsty worked as a Postdoctoral Research Associate in the Environment Department at the University of York, applying high accuracy mass spectrometry techniques to investigate earth - plant - soil interactions, before returning to the Chemistry Department as a KE Fellow in September 2016.